Full service consulting and software services with a passion for performance and sustainable solutions. Do you have a Challenging Problem/Requirment? We have a Solution. Value Edge Solutions (VES) is Software services, Mobility Solutions and IT consulting Services Company based out of India providing high quality, innovative and sustainable solutions to the customers worldwide. Our team comprises of competent technical resources who know their subject well and also know what it takes to deliver a high quality system. Value Edge Solutions (VES) specializes in providing INNOVATIVE, INVIGORATING and SUSTAINABLE offshoring software & mobility solutions which not only provides valuable edge in your business, but enables our customers to forge way ahead of competition by ideating, defining and implementing key business solutions well in time. This enables customers to achieve ROI as per the defined business plan. 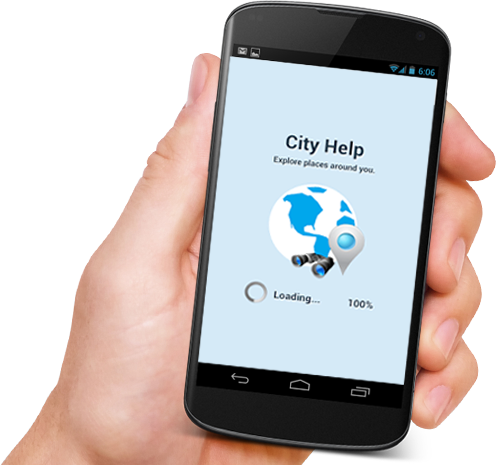 "City Help - Explore Places"
Our team strives to provide variety of mobility solutions for all leading mobile platforms like – iPhone, iPad, Android Phones, Android Tab, Windows Mobile and Windows Phone for variety of domains. We also build cross platform apps using PhoneGap. At VES we specialize in Web Applications, thus enabling customers to access their critical business functions from any location and stay on top of their business functions all the time. We understand what it takes to create a secure channel for you to expose your API to interface with any third party application. Our solutions have always been robust, reliable, scalable and acceptable in every scenario. An area we relish!! Database is the foundation and core of any application which should be strong, robust and scalable. We are sure to give your database a solid foundation and optimize a database facing bottlenecks. We enable customers to make a right decision at the right time and to go for the right technology canvas, as part of our Software Consulting services. An android application which enables you to find & explore places around you. This application gives users facilities to find their place of interest based on different types such as ATM, BANK, School & Colleges, Fuel Station, Bus Station, Hospital, Library, Movie Theater and few others. 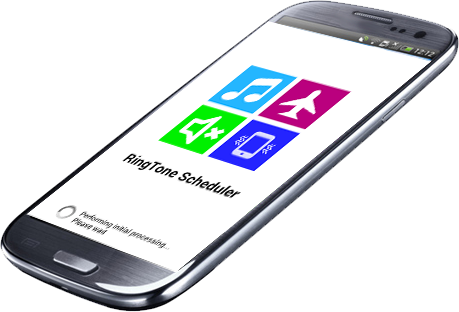 This application enables you to schedule your ringtones or modes between different times. This application also enables you to set the volume of your selected ringtone according to the schedule. Airplane mode - You know you will be traveling on a plane for 3 hours, simply set your mode to Airplane mode in advance for that time duration and this application shall take care of the rest i.e. set your mode at appropriate time. After the duration, it will set to a new schedule or set to default settings. Meeting / Vibrate mode - You know you will be in an important meeting starting 10 am. Preset your schedule to put your phone on vibrate mode starting 10 am up to 12 pm. Rocking ringtone - You wish to set your rocking ringtone starting 5 pm every day. Preset it as per your preference, reminding you the start of your post office rocking hours !!! "We were in need of a solution which would take away all our headache of managing our website, which we had to do through complex piece of HTML. We engaged Value Edge Solutions and to our pleasant surprise they not only provided a precise solution but also support our team by holding their hand and patiently addressing all their queries. We would happily recommend Value Edge Solution to any organization looking for a professional solution and a wonderful experience." "It was again a pleasure to work with bdprofessional. Great and fast work. The implementation was exactly done like it was requested in our specification and also small changes were done very fast. The communication with bdprofessional could not be better. We are looking forward for other projects with bdprofessional."